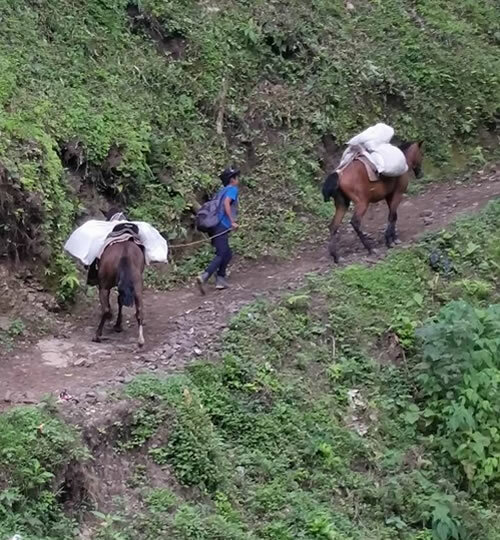 Access – There are few roads; travel is mainly by foot paths and trails for pack horses. Terrain – The land is characterized by rugged mountain terrain and dangerous rivers. 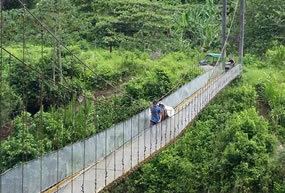 Lack of funds – The Costa Rican government reports that Chirripó is among the least socially developed districts in the country. One factor for their status is low economic development in the region. Thinly dispersed population – There are 6.5 people per square kilometer in the reservation. 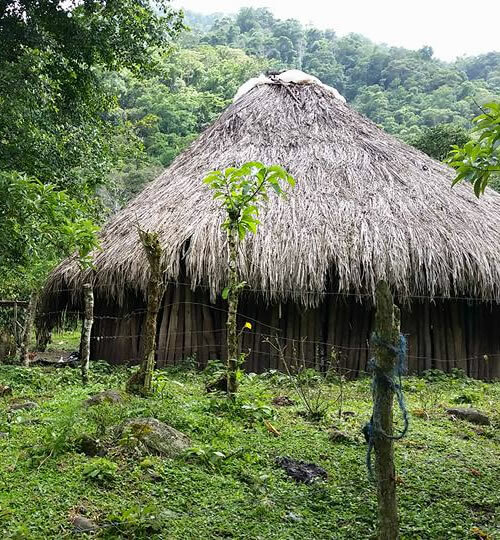 Language and culture – The Cabécar people have a distinct language and culture which has hindered them from accessing needed resources. 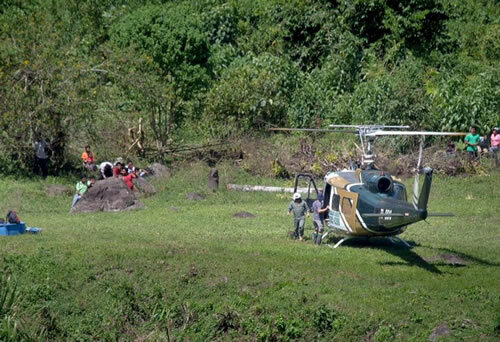 Cycle of paternal dependency – Historically government and NGO handouts have discouraged initiative among the Cabécar people. Causes many deaths related to drownings and lack of timely health care. Means children are unable to attend school regularly. Is one factor contributing to a high infant mortality rate in the Cabécar Reservation. How do ICDI’s Infrastructure Projects work? We listen to the problems and find solutions with the community. Then we coordinate resources from within and/or outside the region with the local leaders and members of the community to accomplish a project. The 2015 Chirripó Bridge in Cableukä that Joel Stoll and Alekcey Murillo coordinated is one example that shows how infrastructure projects work. 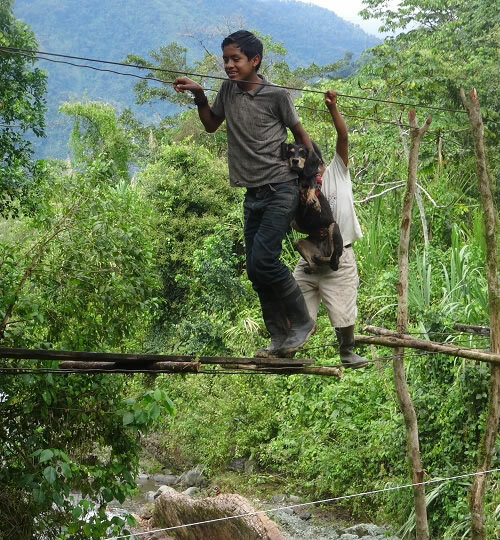 The Cableukä residents wanted a bridge to replace their cable cart to better connect them to surrounding communities, so children had a safer way to go to school, and families could more easily travel in and out of the region for health appointments and commerce. It was a bigger project then they could do alone. 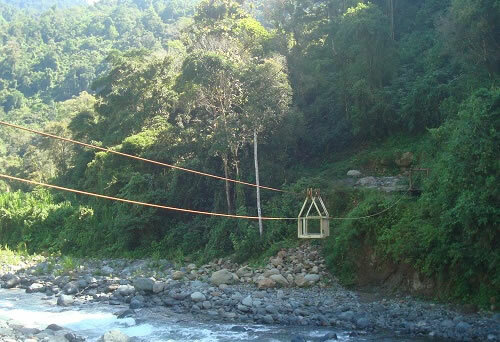 Alekcey contacted an engineer at Hospital Clinica Biblica in San Jose and he chose the best site and designed a suspension bridge anchored high above the flooding level of the river. In the initial phase Joel coordinated the indigenous community to bring their horses to the end of the road and haul the materials for the foundation eight hours into the reservation. 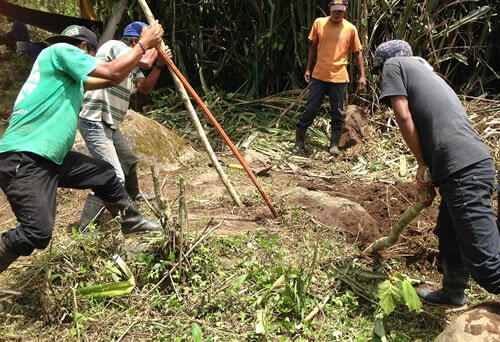 When there was a week with clear weather a mason was hired and worked with the community to dig the holes needed on both sides of the river and they completed the cement foundations. 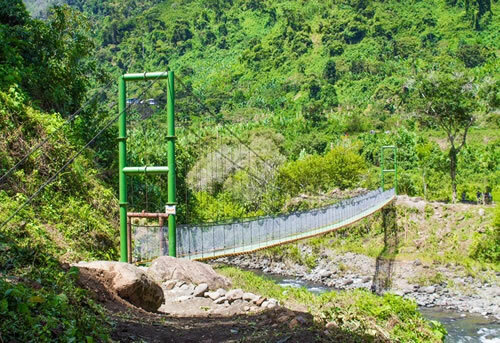 While the cement cured, Hospital Clinica Biblica’s maintenance department in San Jose prefabricated each part of the bridge. 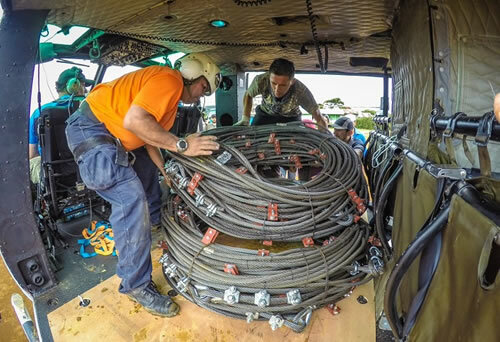 When everything was prepared, and they had fair weather, a helicopter from AreroVital took a number of trips into Cableukä to deliver a small work crew from the hospital’s maintenance department and materials. 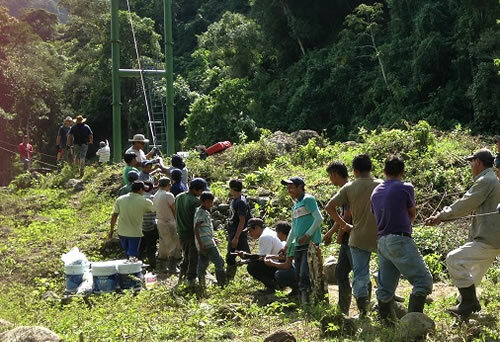 After unloading, the work crew and indigenous residents were combined into teams and worked together for four days to erect the suspension bridge. At the same time, indigenous leaders and families from the surrounding communities hauled rock to improve the trail to the new bridge. It takes time to accomplish a project like this because we wait for the residents to follow through on their commitment to participate. In this case it was the hauling, putting in the foundation, and showing up to erect the bridge. 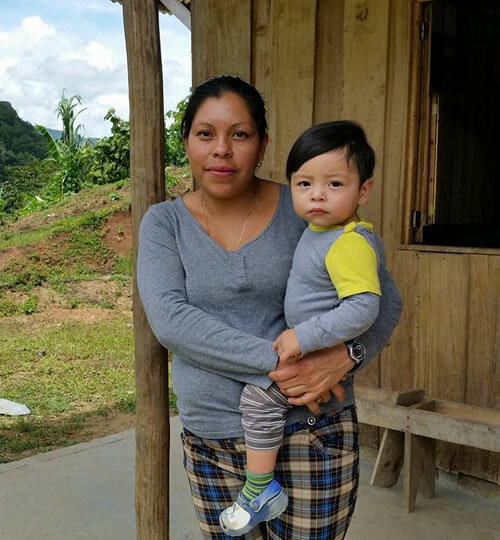 If the community does not have the resources or money for the project, then money needs to be raised or a partnership formed with someone like Hospital Clinica Biblica, who help with and fund community development projects throughout Costa Rica. Weather conditions are another factor that can also slow down a project in the Chirripó District. 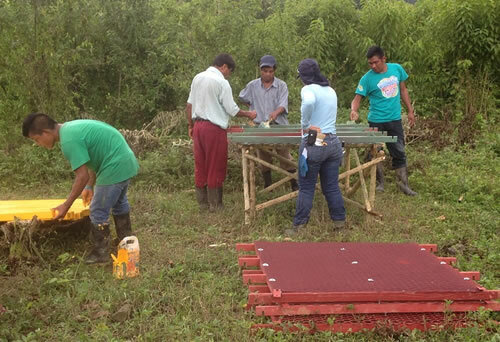 To be able to build more bridges, health outposts, and other infrastructure projects, we depend on donations to pay for construction materials and related expenses. We invite you to donate and be a part of our projects raising the quality of life for Cabécar families. Thank you! ¡Muchas gracias! Danke! ¡Wekte basda!